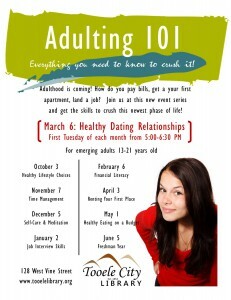 Adulting 101 is a series designed especially for emerging adults to gain life skills to successfully navigate and create an awesome adulthood. 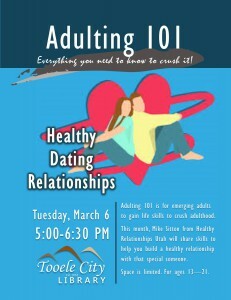 This month, Mike Sitton from Healthy Relationships Utah will share skills to help you build a healthy relationship with that special someone. Space is limited. For people ages 13 to 21.